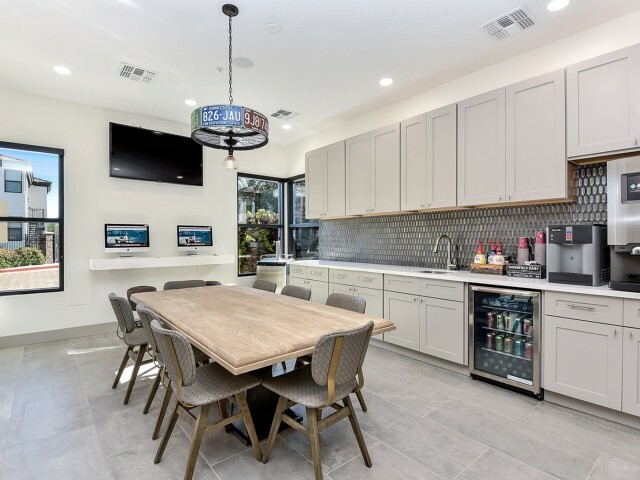 You could live at an apartment with the basics of apartment living, or you could live at Arrive North Scottsdale and enjoy amenities on amenities that will ensure you get the luxury experience you're looking for. 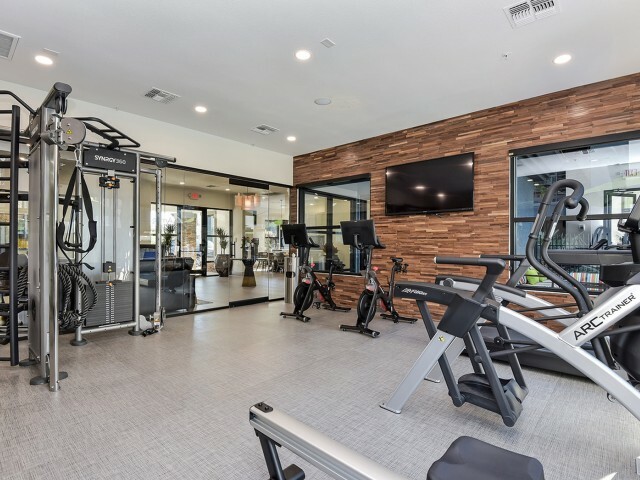 Just at a glance, you'll find we have hiking, jogging, and walking trails just around the corner, an outdoor lounge with grills, a pool area (with free Wi-Fi), a pet play area, a clubhouse, and more! We've found the perfect balance between function and fun in our features and amenities, and we can't wait for you to experience them, too! Park your car in covered parking, pay your rent online, bring your pets, stay fit in our fitness center, and make the best use of all your in-home storage space, just to name a few things; we have gone the extra mile to ensure our amenities blend seamlessly with your experience at Arrive North Scottsdale in Phoenix, AZ. Call us today for a tour! Private detached garages pre-assigned with select apartment homes. Visit our state-of-the-art fitness center and enjoy the use of our indoor Peloton cycling bikes. Whether you choose a pre-recorded class or a live instructor, the customizable features allow an interactive and personal cycling experience. Remodeled pool with outdoor TV lounge, barbecue grill station, mister system, and fire pit. Remodeled clubhouse with lounge area, coffee bar, computer access, and complimentary Wi-Fi. Open during business hours. Remodeled fitness center featuring state-of-the-art equipment and a hydro station. Open 24/7. Oversized closets in all master bedrooms. 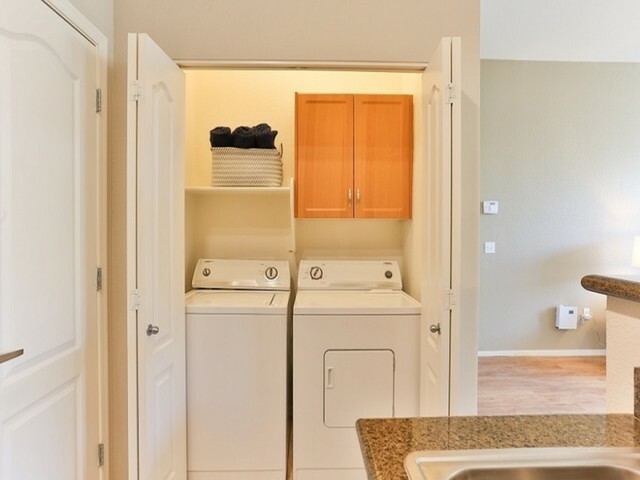 Full size washer and dryer in every apartment home.